We’ve been designing, manufacturing and fitting Australia’s best trays and optional accessories for over three decades. Over that time we’ve built a reputation for top quality products, outstanding customer service and superior after-sales service. We transform commercial vehicles for all kinds of tradespeople, contractors, government buyers and corporate fleet buyers. Only we can provide the options that your buyers need, to suit their specific requirements. We also have the capacity to supply high volumes for your fleet sales. Our workshop staff prebuild popular trays in our Fleet, Tradesman and Contractor models so that we can supply and fit at your dealership* or dispatch with fast turnaround. You can be sure when you’re delivering vehicles to your customers that every tray fits correctly and all the accessories are fitted perfectly every time, on time. Which makes for happy customers every time too. Don’t lose a deal or a potential long-term customer because you haven’t satisfied their needs. We will help you identify everything that your customer will need and then email you a quote. Or we will contact your customer on your behalf, clarify their exact requirements and then email you with your quote. Limitless after Sales Support for you and your customers. 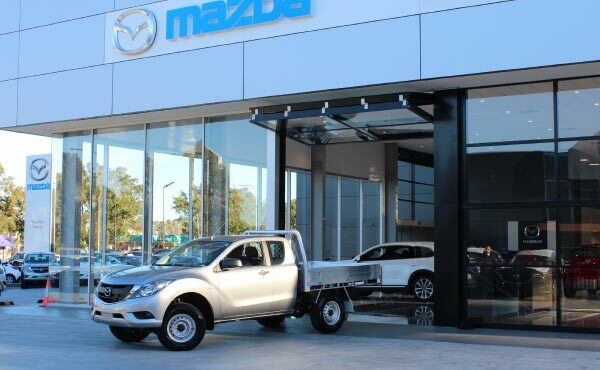 We fit out every kind of commercial vehicle – utes, vans and light trucks – we fit every make, no matter what the model or the year, and we have strong corporate partnerships with all vehicle manufacturers. This allows us to have the right trays available whenever new vehicles are released. We design, manufacture and supply most of our own high quality components from end to end and top to bottom. We only use our most trusted suppliers for the parts we don’t make ourselves so there is no need to deal with a range of suppliers. We provide quotes, price lists and sales brochures specific to your brand, and we can provide them as fast as you need them, helping you to ensure you land every deal. We stock products that are suitable to both your individual customers and to your fleet buyers. We can save you time by bringing our mobile showrooms to you for on-site consultations. We offer complete solutions with turnkey options. 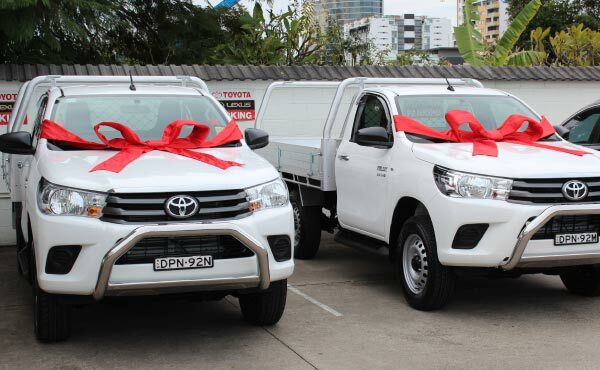 We ensure consistency of quality and service for fleet buyers across Australia with service facilities in Sydney, Melbourne, Adelaide, Perth, Brisbane and Canberra. *For our Fleet, Tradesman and Contractor trays we provide onsite fittings to dealers in the Sydney Metro areas with a 3-day turnaround from receipt of purchase order. We can also provide some mobile fitting or supply-only to regional areas – POA – with a 5-day fitment or dispatch*. Which is much faster than other companies can provide. Our onsite fitting teams are highly skilled and self-supported and WHS compliant, so there’s no need to involve your staff. If you pay us to fit your trays at a fixed cost, you can stick to doing what you do best and save time and money. Call us on 02 9472 8700 or email sales@tiptopequipment.com.au to find out how we can help. For quotes, to place orders or to ask for brand-specific brochures, pricelists or product information, dial 1 for our Sales Department. To book on-site fittings, enquire about existing orders or to get an estimate when you should pick up or drop off vehicles, dial 3 for our Operations Department. Is the vehicle a cab chassis or pick up? Whether the vehicle is in stock or when it will be in stock? Will the vehicle require roof racks? Will non-standard wide tyres be fitted to vehicle?